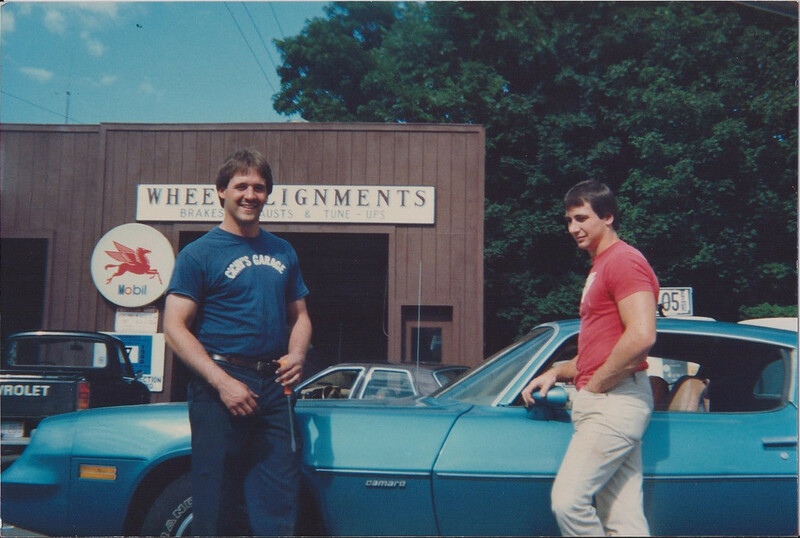 From left to right: Mickey Cichy, Jim Moynahan, Cliff Clark, and Dean Messeck circa 1983. 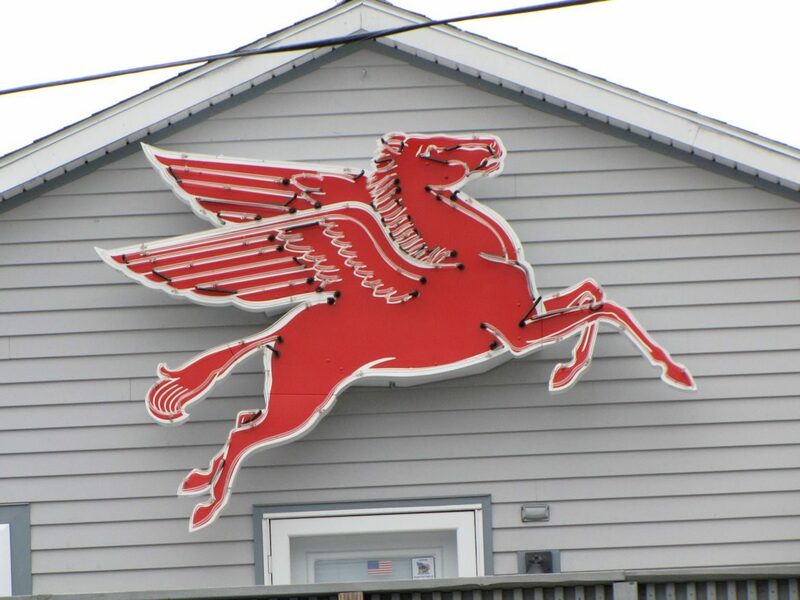 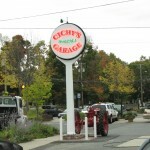 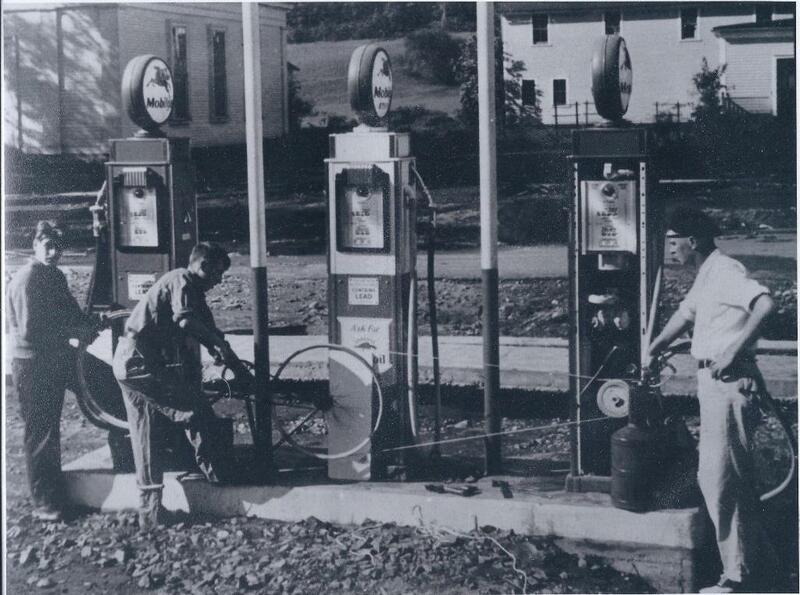 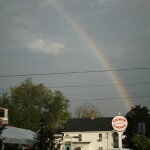 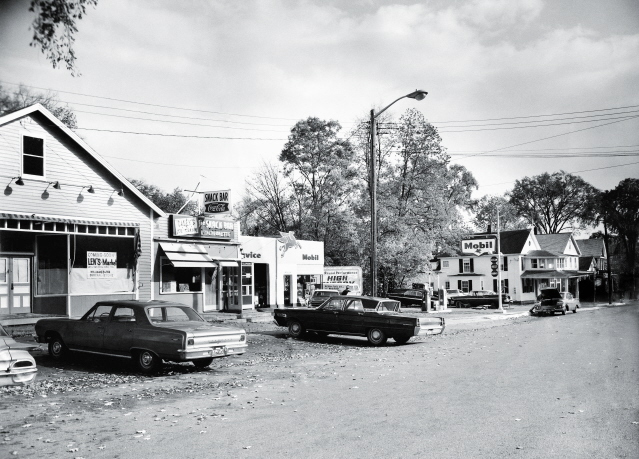 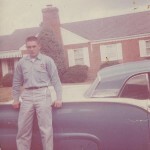 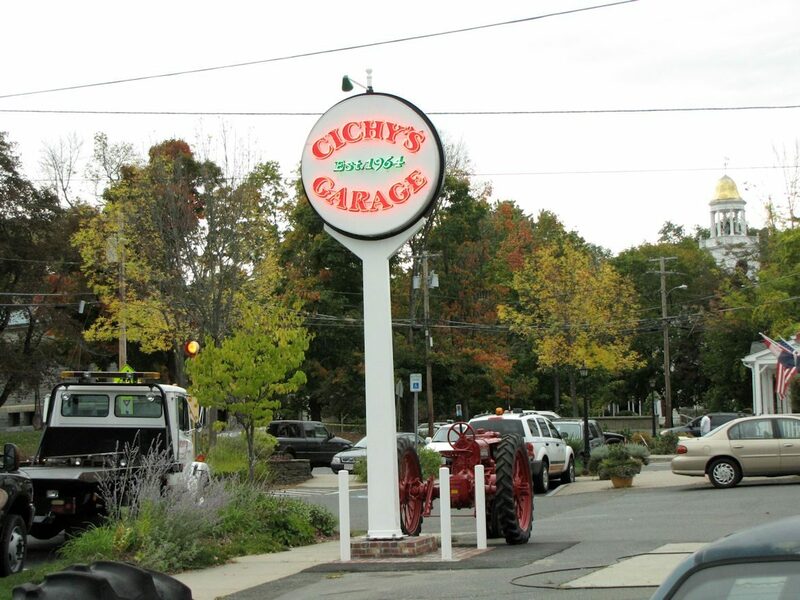 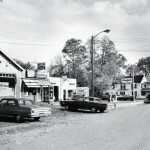 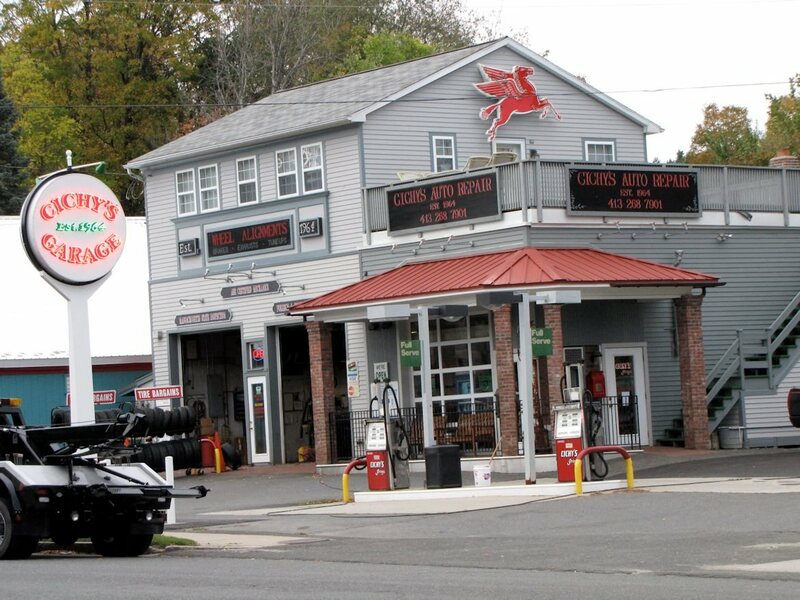 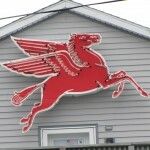 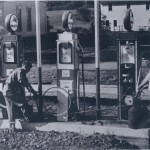 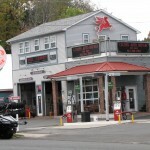 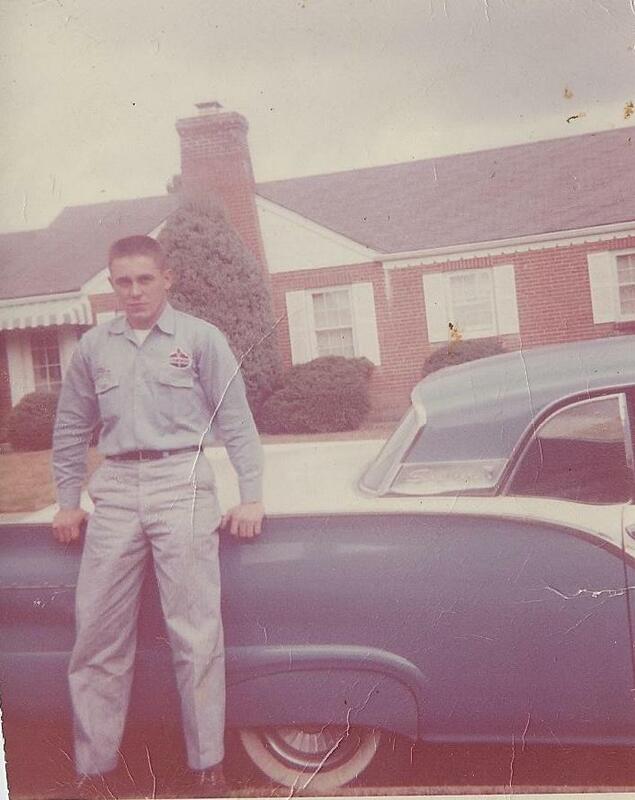 1965 One year after Cichy’s Garage was established, view from the front. 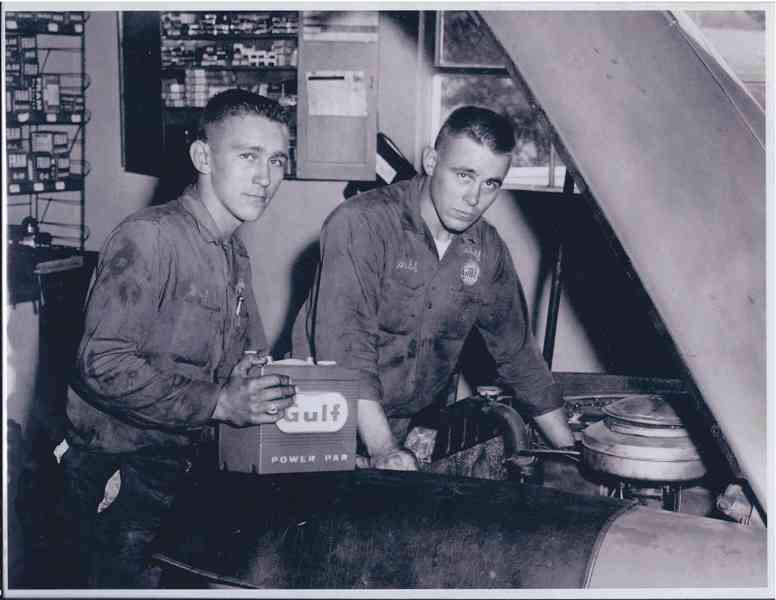 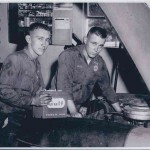 Brothers Mitch and Mal Cichy circa 1963 advertisement photo for Gulf Oil. 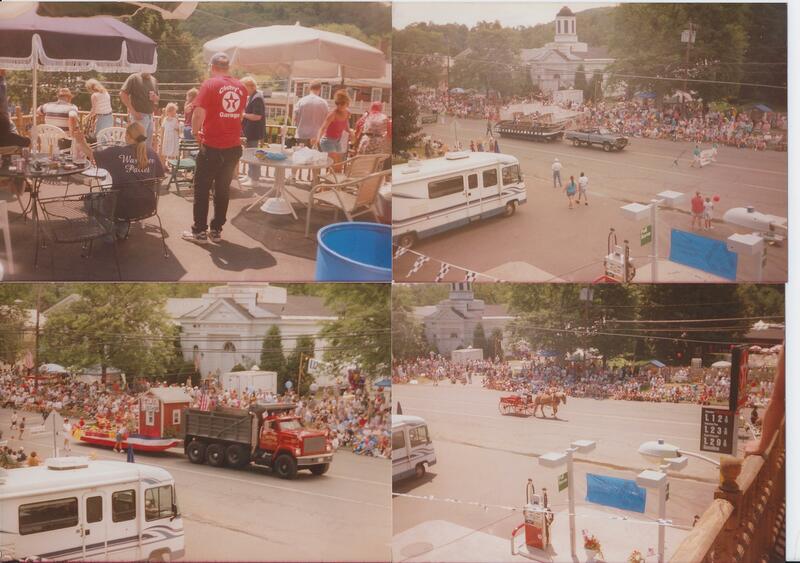 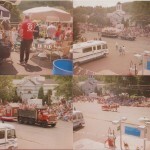 1996 Williamsburg 225th Anniversary Celebration. 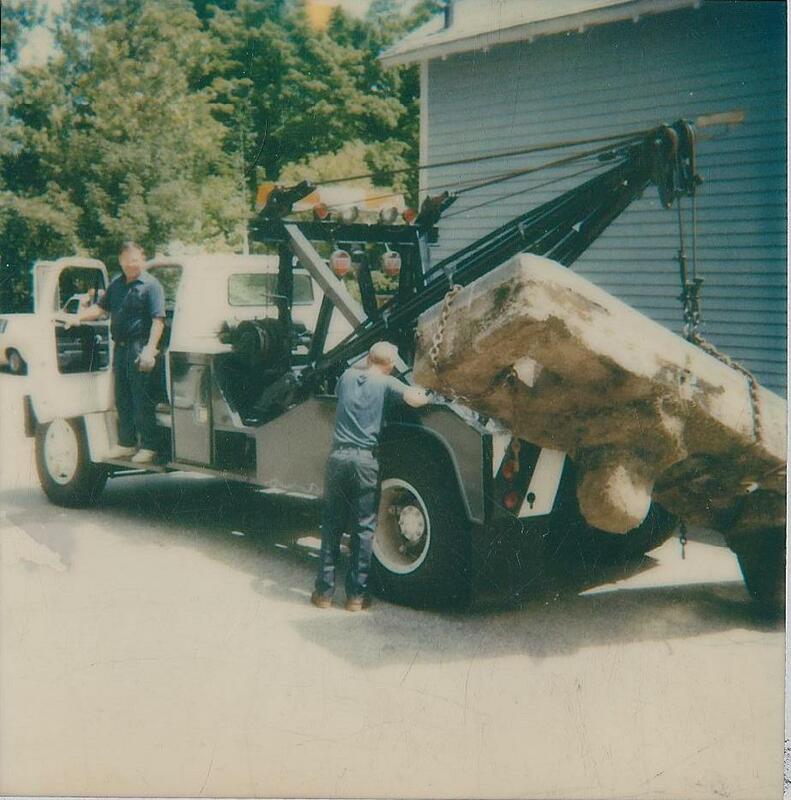 1979 The many uses of a tow truck. 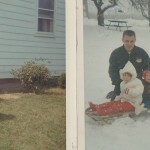 1966 finding time for family, summer and winter. 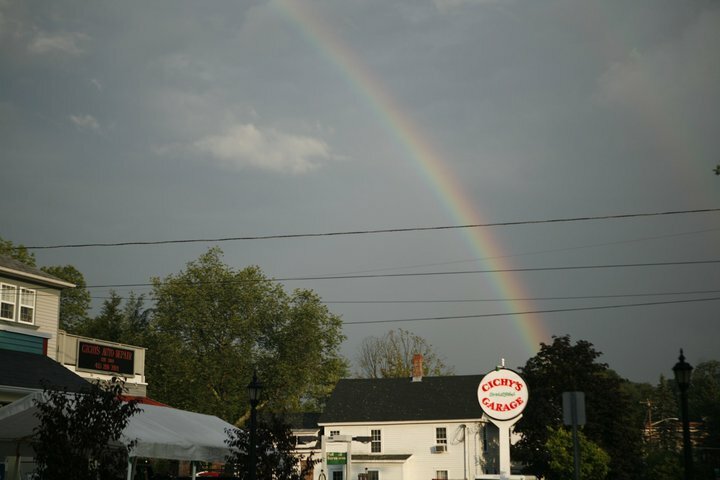 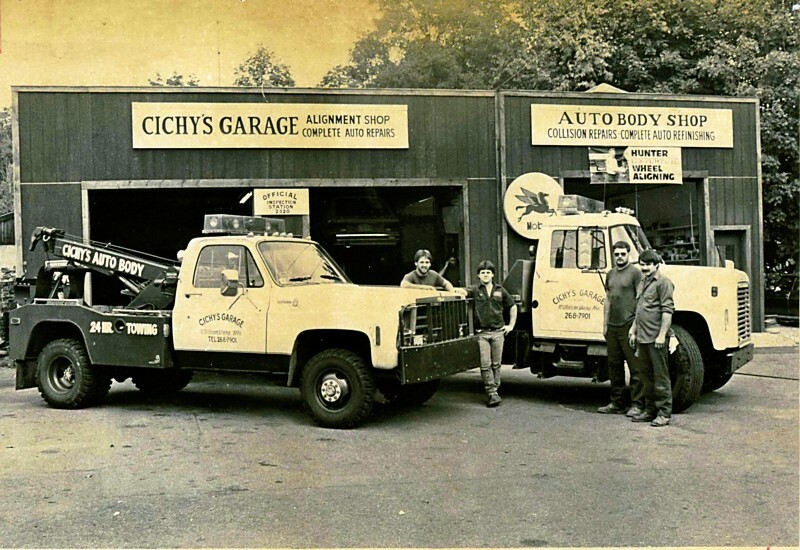 Left to right: Jackie, Mitch Sr., and Mickey Cichy. 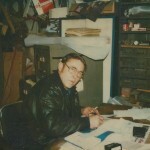 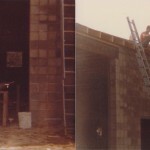 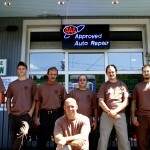 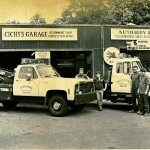 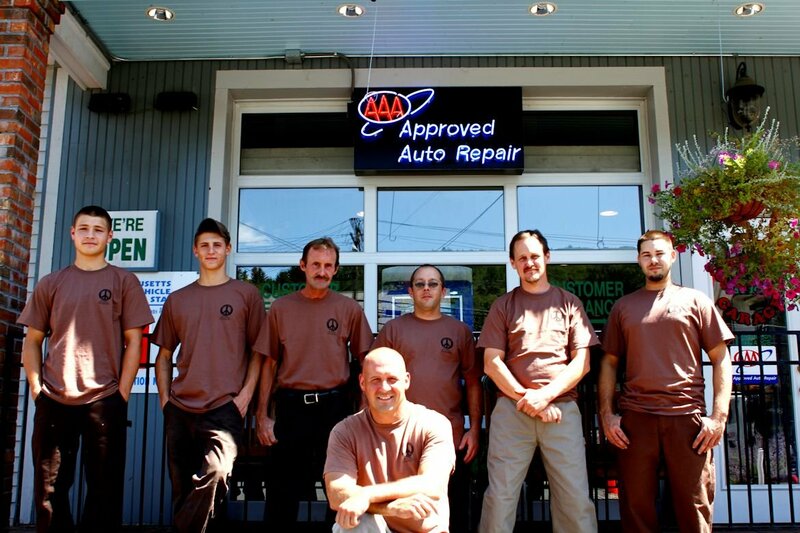 1983 Cichy’s Auto Body constructed in rear of Cichy’s Garage, Cliff Clark manager. 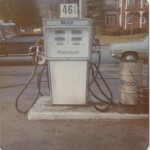 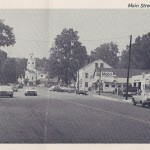 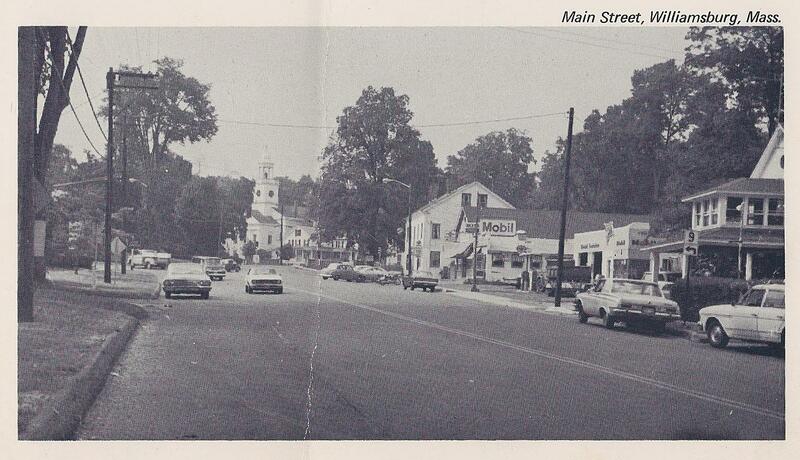 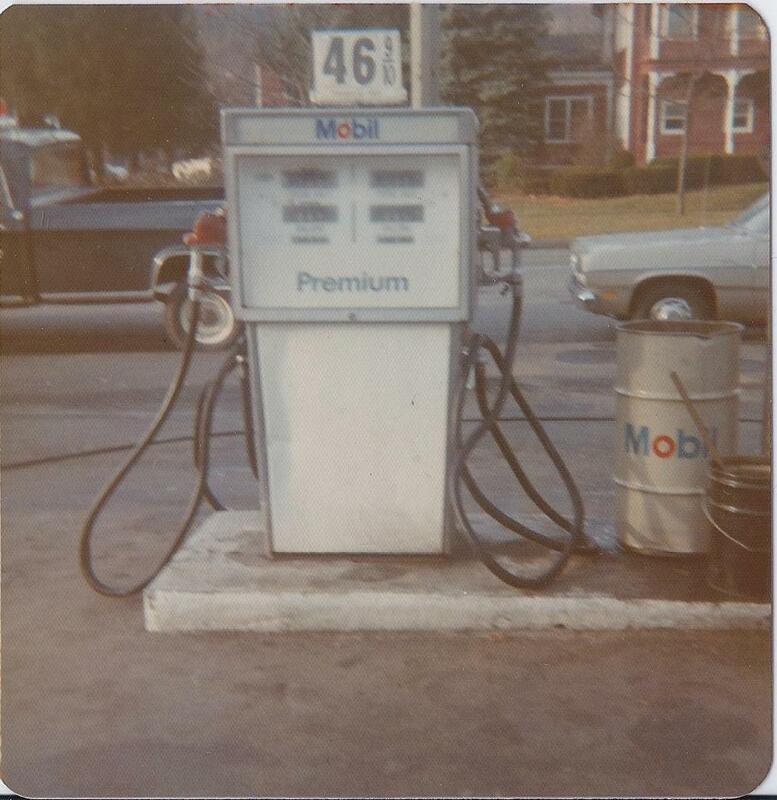 Early 1970’s photo of Williamsburg Center and Cichy’s Mobil sign. 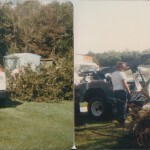 1986 Mitch Cichy Sr. hard at work. 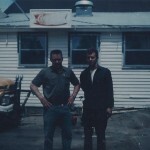 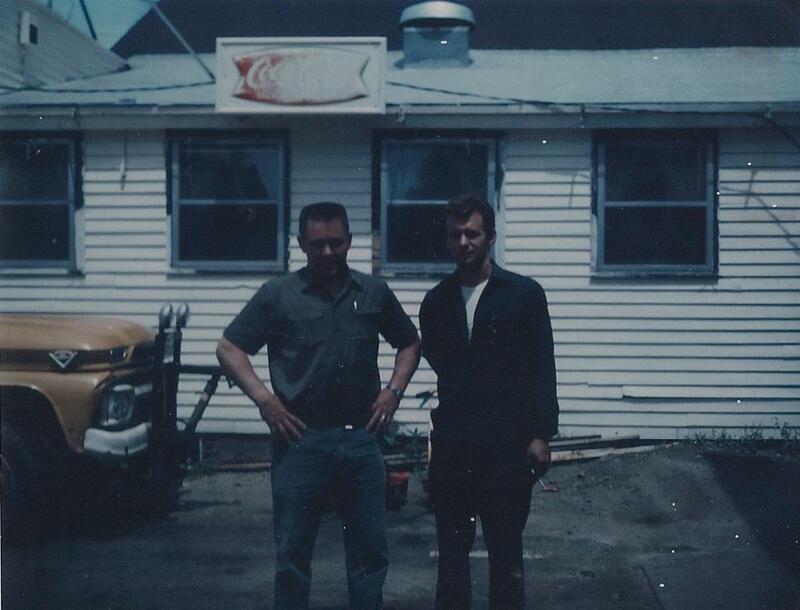 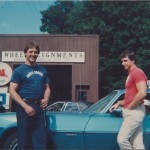 1968 Mitch Sr. and brother-in-law/shop manager Steve Johnson.